Sirdar Montana DK yarn with wool comes in striking colourways with a soft, lightweight and machine washable (40') blend of 30% wool with 70% acrylic. 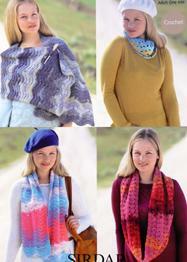 Sirdar Montana DK yarn knits to a DK tension of 22st and 28 rows to 10cm on 4mm needles. 50g per ball with a generous yardage of 150m, 164yds. 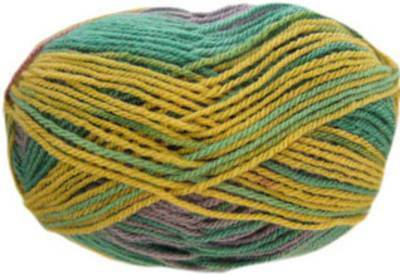 Sirdar Montana DK knitting yarn 200 Monterey - soft, lightweight and machine washable blend of 30% wool/ 70% acrylic in striking colourways. 50g / 150m per ball. 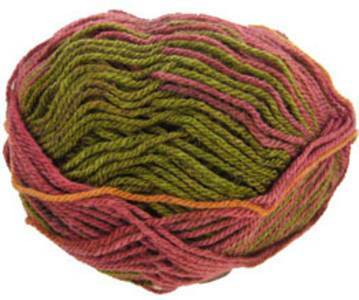 Sirdar Montana DK knitting yarn 202, Hideaway - soft, lightweight and machine washable blend of 30% wool/ 70% acrylic in striking colourways. 50g / 150m per ball. 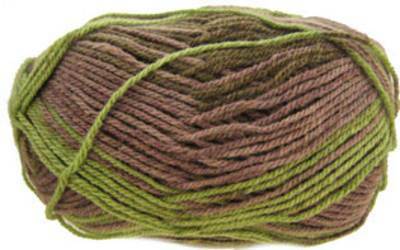 Sirdar Montana DK knitting yarn 205, Sweet Grass - soft, lightweight and machine washable blend of 30% wool/ 70% acrylic in striking colourways. 50g / 150m per ball. 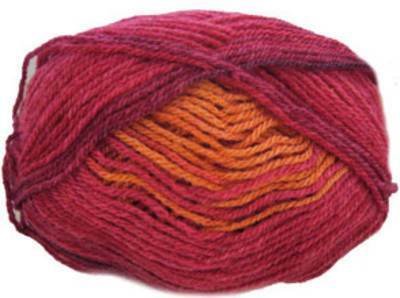 Sirdar Montana DK knitting yarn 206, Klondike - soft, lightweight and machine washable blend of 30% wool/ 70% acrylic in striking colourways. 50g / 150m per ball. 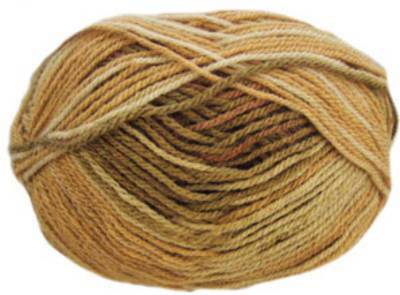 Sirdar Montana DK knitting yarn 210 Sandstone - soft, lightweight and machine washable blend of 30% wool/ 70% acrylic in striking colourways. 50g /150m per ball. 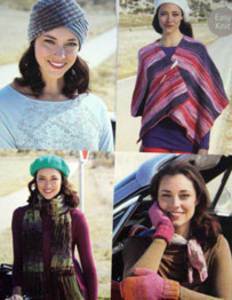 Turban in rib variation, easy wrap, mittens and cable scarf shown in Sirdar Montana DK. One size to fit average woman. 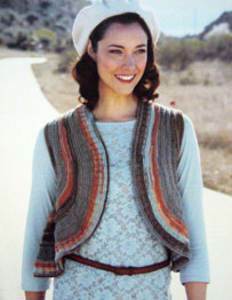 Cardigan with round neck or stand-up collar has broad garter st front bands with 2 buttons, shown in Sirdar Montana DK. Fits women and girls 61-117cm (24-46in). 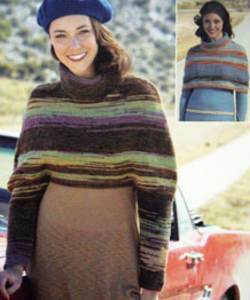 Innovative cape with sleeves or without has roll collar, shown in Sirdar Montana DK. To fit 81-107cm (32-42in). Striking waistcoat with garter st ridge detail is cleverly constructed with short rows, shown in Sirdar Montana DK. To fit 81=107cm (32-42in). 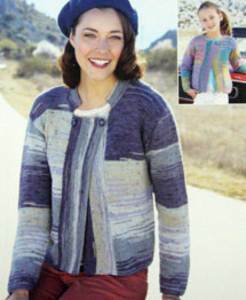 Jacket with entrelac panels has plain yoke and garter st shawl collar, shown in Sirdar Montana wool blend DK. Includes larger sizes, 81-137cm (32-54in).